As with my earlier book reviews, I was given the books in return for writing reviews. It's not edited though, these are my real opinions. 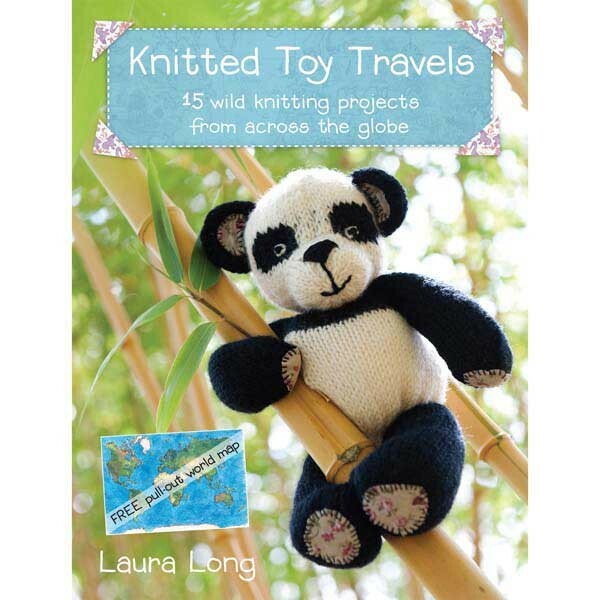 Knitted Toy Travels by Laura Long is a real treat, not just for the knitting patterns but for the fun way the book is written. 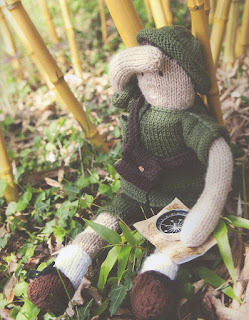 Each animal is discovered by Ed the Explorer as he travels around the world - there's even a pull-out world map! I plan to have a great deal of fun with this book and my grandchildren...when they arrive! Ed even has two outfits, one for cold weather and one for warmer climes. Like me, Laura isn't a fan of sewing together small pieces so her patterns are shaped as you knit, or sometimes by a few extra stitches at the end to add definition. Each new journey introduces a new animal with a short story, a rhyme and a little geographical information. 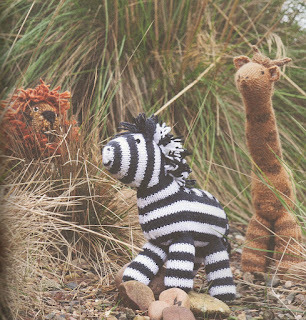 This is definitely a book to read with a child, not just to knit from. Amongst other animals we meet Polly Parrot in Mexico, Kangaroos in Australia, a tiger in India and of course meerkats in Africa. 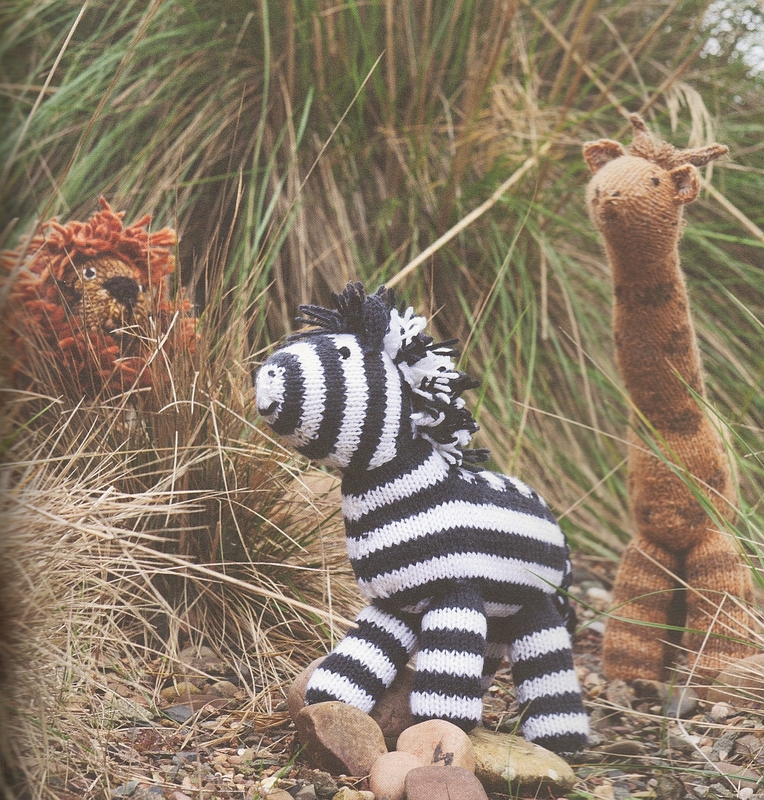 It's quite strange for me to see meerkats knitted by someone else! Sounds like a great book, maybe I should get it for myself (I mean, for Marissa, of course).